I’m sure I’m one of only a handful of people who actually reconciles my credit card statement with my receipts, but I like to see that everything is in order before I pay the bill each month. Tonight, I saw a charge that gave me pause – and it wasn’t one I had tracked in my spreadsheet of expenses. 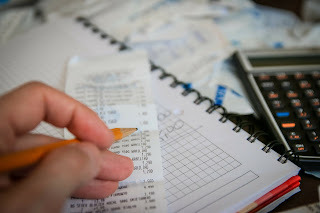 (Yes, I track my expenses daily in a spreadsheet…stop laughing.) A few phone calls later a fraud case has been opened, my card has been canceled, and a new one will arrive on Tuesday. In the meantime, this experience serves as a reminder to pay attention, look closely, and remember that just because we may see things a certain way doesn't mean everyone else sees them that way. too – all good lessons as the new year approaches.